Need help in selling your home in the Tuscaloosa and Birmingham area? Read our blog and tips below to help you in your home selling journey! 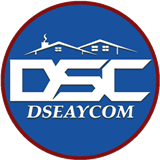 www.dseay.com is brought to you by Homes Media Solutions & Derrick Seay, number one in real estate for West & Central, AL.